We all have dreams and goals, things we want to achieve intellectually, spiritually, and physically. We wa nt to step forward and make critical choices. But something stands in our way, and it’s usually connected to a fear or fears. We’re unable to move forward because we’re afraid of those critical choices and what it means to say “yes.” So we do nothing and continue to dream about the what-ifs of our lives. The outcome is depression and a lack of fulfillment. What keeps you awake at night and consumes your daytime moments? The courageous are the ones who take their ideas to God, make a plan, and work diligently until success is achieved. The following are five steps to help overcome the fears that keep us shackled. Make a prayerful decision. Do your dreams and goals line up with God? None of us can experience anything satisfying unless we get on board with God’s plan for our lives. Name your fear. Give it a face and a description. We can’t fight the unknown. Now take that fear to God and release it. He knows all about it anyway. Focus on what the Bible says about fear. How did the ancient believers approach an insurmountable task? Make a plan. Again, write it down, step by step. Make sure you agree with God, then move forward with the hard work. Do not despair when a failure gives you a temporary setback. Stand up, dust yourself off, and begin again. Give thanks to God for His love and guidance. Philippians 4:6–7, ESV Do not be anxious about anything, but in everything by prayer and supplication with thanksgiving let your requests be made known to God. And the peace of God, which surpasses all understanding, will guard your hearts and your minds in Christ Jesus. 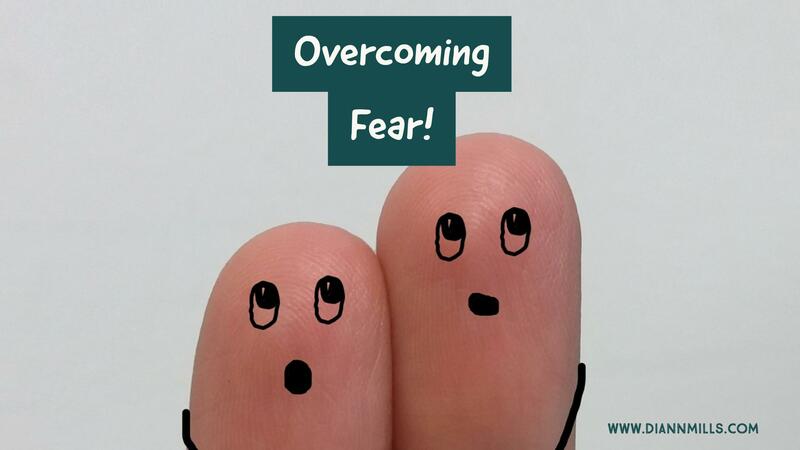 What tools do you use to beat fears? DiAnn’s April 2017 Release! Get your’s today! Christian Fiction books of 2014. DiAnn is a founding board member of the American Christian Fiction Writers, a member of Advanced Writers and Speakers Association, Sisters in Crime, and International Thriller Writers. She is co-director of The Blue Ridge Mountain Christian Writers Conference with social media specialist Edie Melson where she continues her passion of helping other writers be successful. She speaks to various groups and teaches writing workshops around the country. My pleasure, DiAnn! Congratulations on the release of Deep Extraction.